It’s hard for me to believe that I’m even thinking about self-kindness. I’m old school. 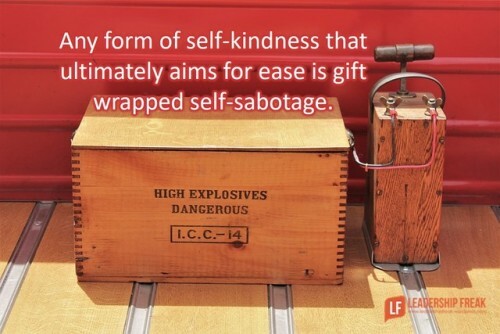 Words like self-love and self-kindness set me on edge. We need responsibility and hard work, not self-kindness. Us old schoolers don’t need self-kindness. It’s for the weak. I’m not saying it’s right. It’s just inside me.